April 17, 2019 — Comments are off for this post. How time flies when you're training amazing organisations and delivering programmes for Scottish Enterprise that help teams and businesses to grow. Over the past month we've delivered workshops, hosted an International Women's Day series of events and attending the amazing Social Bite celebration ceremony for the 'Big Sleep Out'. Thanks for everyone that helped us raise over £3,000 last winter. Roll on a few months and it's been an amazing start to spring at Connect Three HQ. As National Tea Day rolls up we're delighted to be sitting down with another member of our next Connect Three family to talk all things work and play. Grab a cuppa and get comfy as we sit down to talk with Katy Morrison. Happy start of spring Katy. 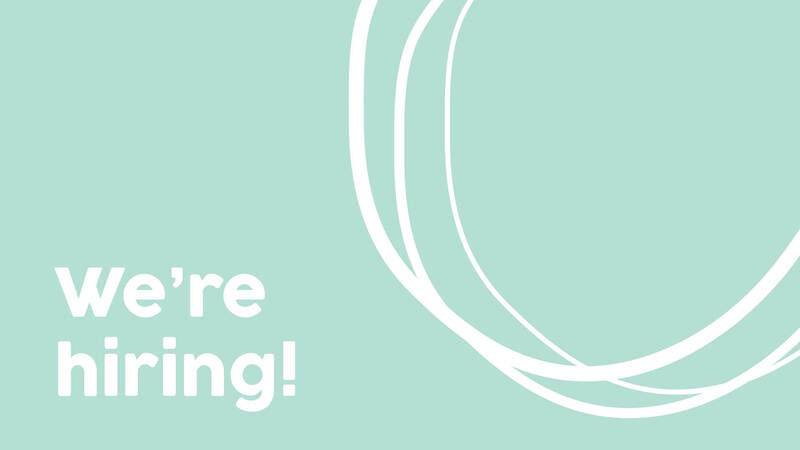 Could you tell us a little bit about your role at Connect Three? Sure. As a consultant at Connect Three I love to explore workplaces to discover the potential from their people and to then use these discovered to help make workplaces happier and more productive. This remains my biggest passion, and a lot of my day to day work centres around delivering management and leadership programmes across frameworks with Scottish Enterprise, Glasgow Welcomes and with our fantastic private clients. Another part of my job is to support workplaces by identifying needs and providing sound solutions to help them achieve their goals. Phew, what a busy but exciting role. With so many exciting things happening what’s been one of your proudest moments this month? I booked a place on Kids Yoga Teacher Training this month. It’s been something I have wanted to do for a while but I kept putting it off as I was using time as an excuse. My little boy was copying me doing yoga in the house and I knew it was the time to book onto it, so I could guide him and my daughter safely. They say the best way to learn is to copy and do. Great to see your little boy is a keen learner already. Next up, what three things would you take with you on a desert island? A few good books as I don’t often get the chance to read as much as I’d like with having two young kids, an endless supply of crunchy cheese Cheetos and an invisible cloak so no one could ever find me! Sounds like a true desert adventure. Next up, which business leader would you like to have a cup of tea with? Arianna Huffington! I really respect her honest and bold views that have always struck a chord with me. She was one of the first people that taught me to look at myself first in situations, in work and at home, to get the best outcome. I find her words are those that give me confidence to do this. I’d love to curl up and put the world to rights. How can events like this National Tea Day help businesses to empower their staff and help encourage more conversation? Events such as these are a great way to take some time out and connect with yourself and others around you. Some of the best ideas, solutions and conversations have come from people putting their tools down and just engaging in unfiltered conversations. I know that I am at my most productive, focused and feel able to soar when I feel great about myself. If we can provide people with more opportunities to be more focused on their well-being and building personal resilience, this can only contribute to happier work places and increased results. 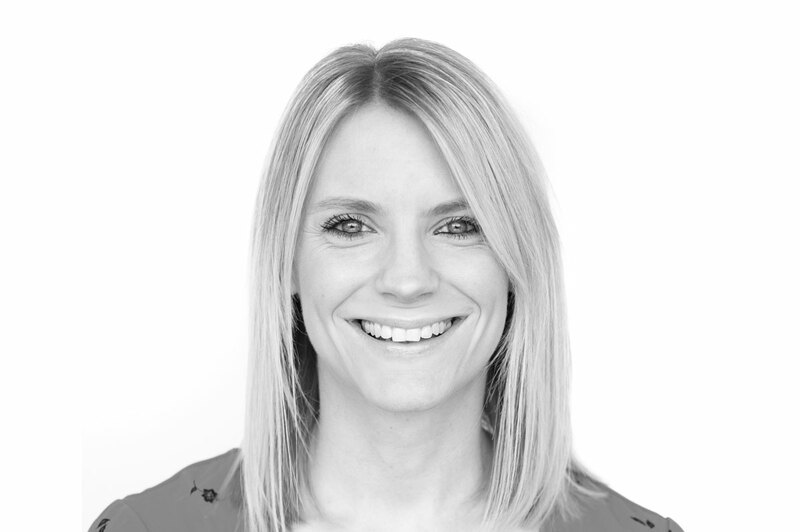 Thanks for an amazing April Connect Katy and with people at the heart of a business, it's a real honour for us to have someone so passionate about workplace empowerment be part of the Connect Three family. 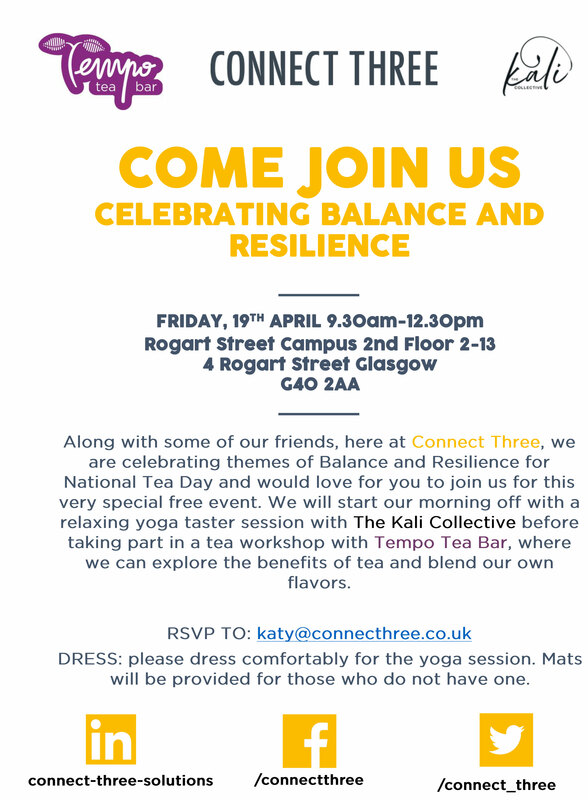 This Friday 19th April Katy will be hosting a work and wellness event in celebration of National Tea Day & Mind's fantastic campaign to get more people talking over a good ol' fashioned cuppa. Join Katy and the Connect Three team as we open our studio doors in partnership with Tempo Tea Bar and The Kali Yoga Collective. Find out how Katy can help your business achieve more workplace happiness through staff development programmes and business or personal coaching. March 8, 2019 — Comments are off for this post. It's no hidden fact that there's a lot to do to level the playing field for women in work. From better employee perks that support women who are mothers, to reducing the gender pay gap until there is none to even talk about, and let's not get going on the challenge of getting a better balance of women in senior positions & greater diversity of women. This International Women's Day we wanted to spend the day celebrating the amazing work that's being done by organisations across Scotland and the UK. To celebrate the wonder women who make Connect Three the awesome business that it is. To join with an inspirational global organisation to talk everything #BalanceForBetter, and to inspire women in the workplace and beyond to believe that there is a brighter tomorrow. 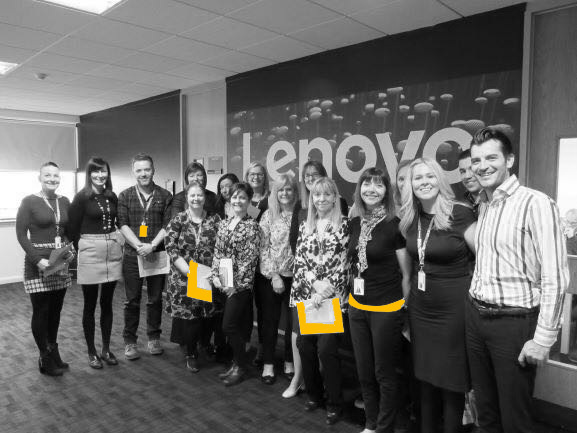 Kicking-off our International Women's Day with Lenovo, we hosted an inspiring workshop to explore and engage some of the Head Office team in Scotland to reflect on ways in which they could balance their professional and personal lives for better. Organisations which value their staff will always strive to support the celebration of equality within the workplace and it was fantastic to be able to help lead that process in honour of International Women's Day 2019. In fact, we left so inspired by the pledges made by the changemakers in the room that we've pulled them together into our top hacks for the month. Do more things for fun. Spend more time doing things that just make you happy. Stop wanting to take control of everything. These pledges honestly made us grin from ear to ear and we're hop, skip and jumping into the rest of International Women's Month with a renewed sense of how valuable workshops like these are for empowering woman and men alike. On the other side of Glasgow some of our team came together to host the latest workshop in our Scottish Enterprise, Managing People for Growth programme - a development series for supervisors and managers ready to supercharge their careers and those of their team - and it seemed like the perfect way to close off a day of celebrating all of the amazing women in business throughout Scotland. However your business is celebrating the theme of #BalanceForBetter this week, month and year we encourage you to involve your staff and have them partake in some self-reflection and pledge setting. And of course we couldn't finish without saying a huge Connect Three thanks to the women in our team who make what we do one of the best jobs in the world. So to Barbara, Fiona, Susan, Shona, Tina, Katy, Laura, and Vicky; thank you for being so awesome. 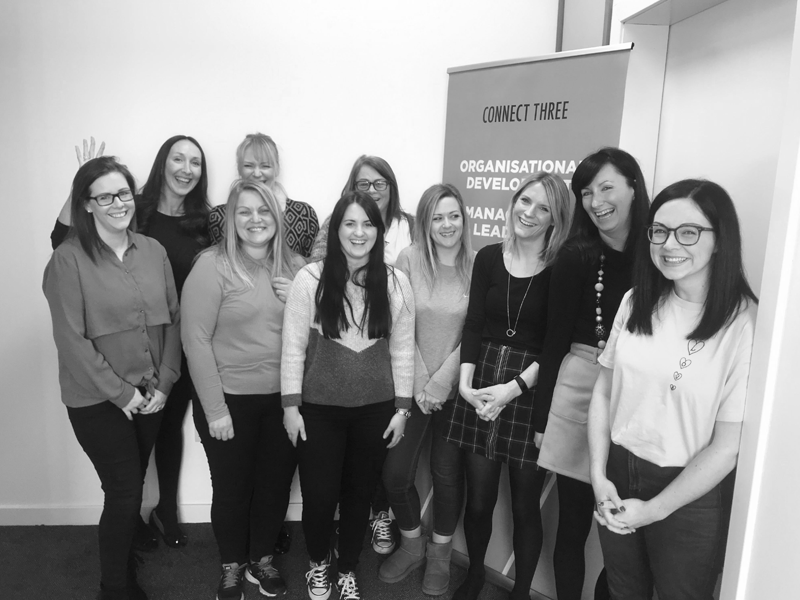 Our Connect Three family has grown over the years and at the heart of our business is connecting people with the right skills, empowerment and knowledge to make the changes they need in their professional, and often personal lives. What better way to start our connection series that with our very own Colin Lamb. 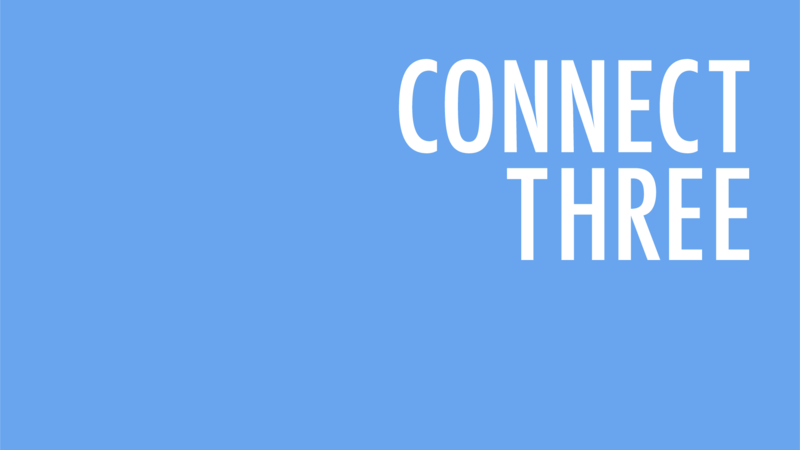 Each file in our 'Connection Series' will spotlight the work of a member of the Connect Three team and provide you with top tips to help grow your business and professional learning through what they have learnt. And without further ado, it's time to connect with Colin. First up what's your role at Connect Three and what do you do? I am the Chief Explorer. This means it is my job to explore new opportunities and possibilities, new ways of doing things, new talent, new trends and to constantly innovate what we do. My role is about fostering a culture and workplace to empower our team to #be curious #bold and importantly #themselves. Nice! Must be a busy but engaging role. Next up. what was one of your proudest moments in February? Definitely Connect Three being recognised as a finalist for FSB Awards this month. We didn’t win this time but it’s not always about winning – we are really proud to be recognised and shortlisted. Aye, it's definitely the taking part that counts. So here's a little curveball, what three things would you take with you on a desert island? I never go anywhere without a notepad. so of course that would need a pen too and finally I’d have to take my Nespresso machine too I think as I am an absolute coffeeholic. And now to pick your brain How can businesses help upskill their leaders through coaching? Coaching for me is underused and under appreciated as a way to develop leaders. Leaders need time and space to work through challenges they are facing whether these are to do with people, practices or productivity. Leaders may know what they need to do and another training course may not cut the mustard. This is when coaching can become helpful to unlock a leaders potential. Last but not last; who would be your dream person to coach? I don’t think I could name a single person – not even a celebrity. This is because ‘you’ need to want to be coached to achieve something – a goal or target e.g. a new job, to overcome conflict, to think differently at work etc. My dream person would have a very clear goal in mind and want to work with a coach to get there faster. And that's it for this month's connect. 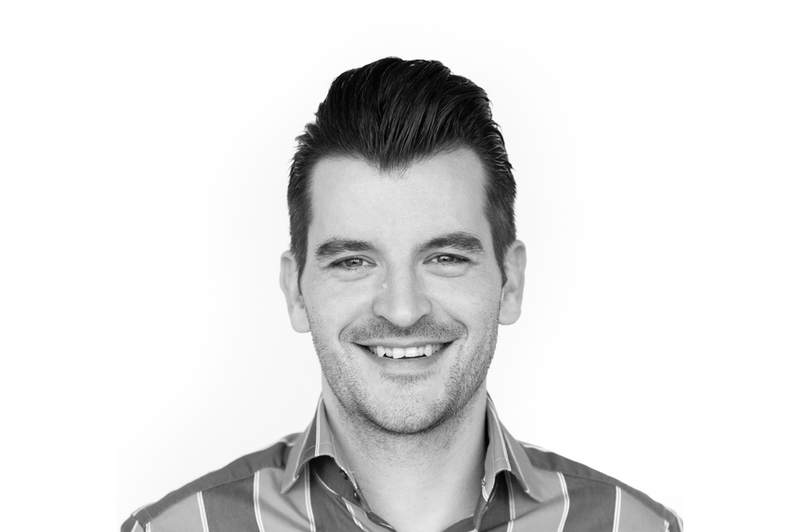 Make sure you're following us on social media to catch Colin's social media takeover on Instagram and if you're feeling inspiring to have some career coaching why not get in touch today to see how Connect Three can help. See how our personalised coaching can help you and your business grow in March.